The Made Up Initiative was organised by Karen of Did You Make That. Karen invited us to support the National Literacy Trust by making a donation and pledging to make something. The initial target was £1000 and at the deadline the total was already over £2500! 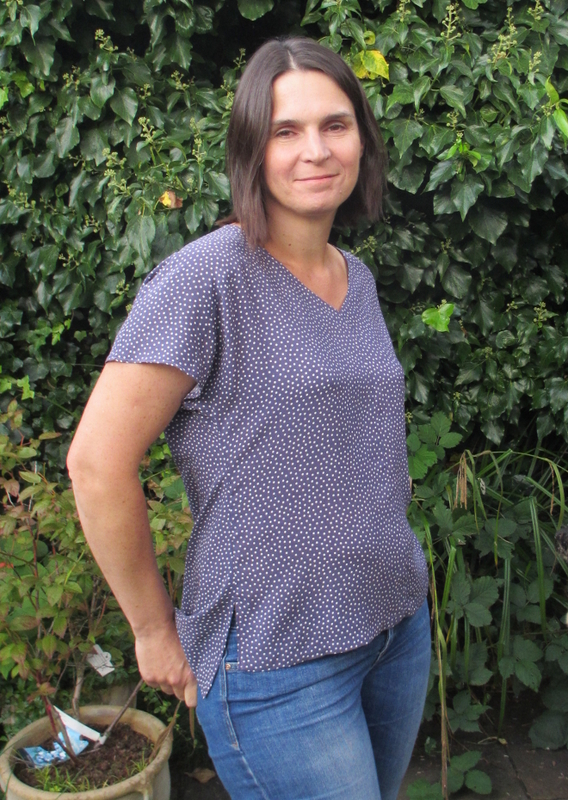 The Made Up Initative launched in August, just before I went on holiday, so I wasn’t able to pledge a big project (like Karen’s beautiful vogue dress) but I thought it would be a good way to kick-start my autumn sewing with a quick project. I chose the True Bias Sutton blouse. I wanted more woven tops to wear with my much worn Ultimate Trousers. I already made the Hey June Biscayne blouse and Tessuti Jac shirt earlier in the summer. Sutton had been on my radar for a while but suddenly I needed it immediately (why does that happen? It isn’t just me surely?). 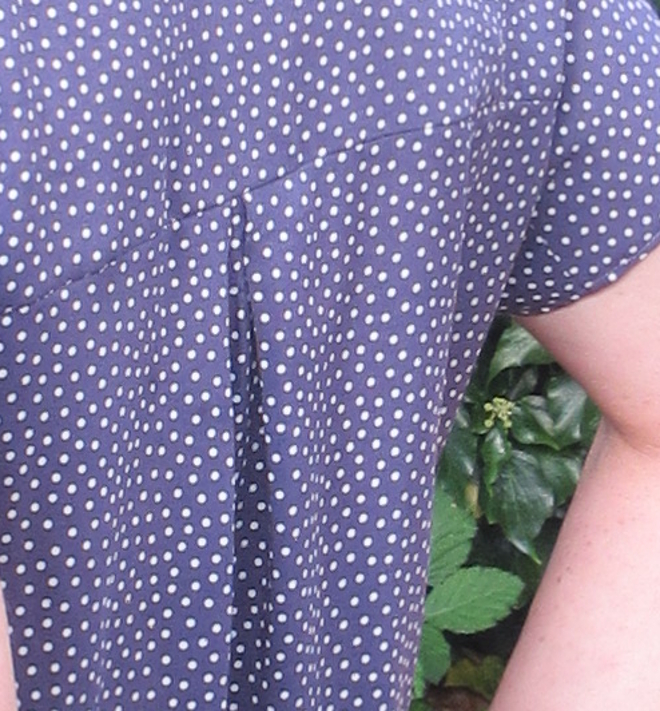 The Sutton blouse has three pattern pieces plus binding, so it looks like a really basic make but there are lots of lovely details. The side slits and longer back and the binding on the V neck make it more involved and there are french seams for a neat finish. The yoke provides an opportunity for contrast fabric, playing with pattern direction or lace inserts. You can see a range of different interpretations of this pattern in the first round of Super Online Sewing Match. I love the black lace yoke on Dandelion Drift’s Sutton. The fabric I used has been sitting around in my stash for almost a year – it is a lovely purpley/blue viscose with white spots which I got from Guthrie and Ghani at Sewbrum last year. It is beautiful fabric and I had been waiting for the right project for it. 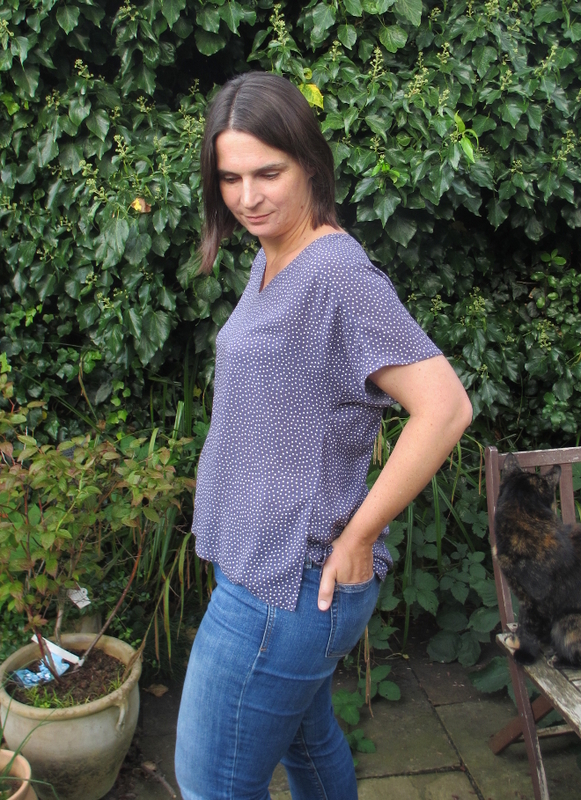 The Sutton blouse works best with a really drapey fabric so I decided this would be perfect. Because the Sutton is loose fitting I went ahead without making a toile first (high risk!). I cut an 8 shoulders and bust, grading out to a 12 at the hip and I think this worked out pretty well. In the end I made a smaller hem than the pattern suggests so I may add a little length in future. The sewing went really well and I was able to do a small amount each night over a week. The viscose fabric is very slippery and was a challenge to cut, so I used lots of pins at every stage and reduced the tension on my machine slightly to avoid puckered seams. I also had to reduce the tension on my overlocker quite a bit to finish the side seams without chewing them up completely. When I was almost finished I tried it on and had a bit of uncertainty about whether I liked it or not. I wasn’t sure if it was too baggy and shapeless on me. After finishing it completely and trying it with jeans I have decided that I do like it very much. 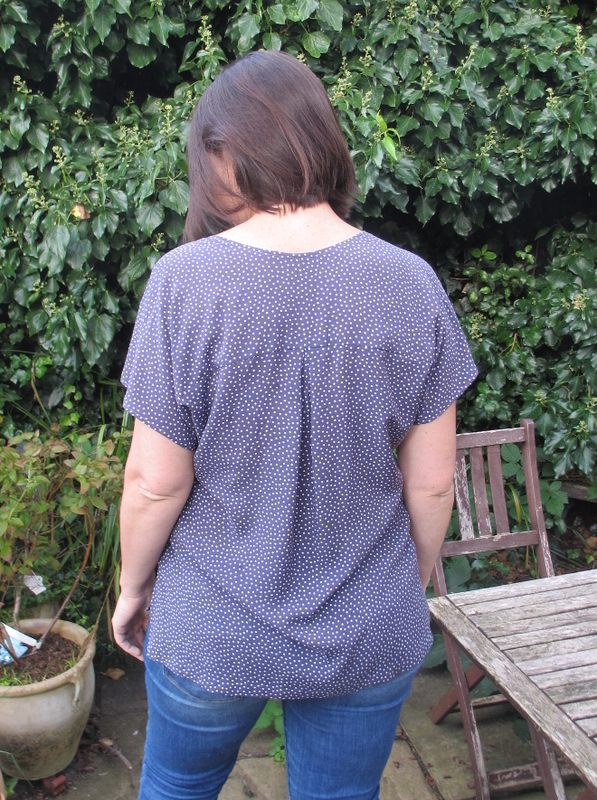 The longer back is just the length I like and I love the weightless feel of the viscose fabric. So the Sutton is definitely on my list to make again – though my list is currently very long. I have decided to try and be a bit more focused about what I sew for autumn/winter and make a realistic plan. Is anyone else sewing with a plan? I just plan on sewing! Love your Sutton. It’s a favourite of mine too. 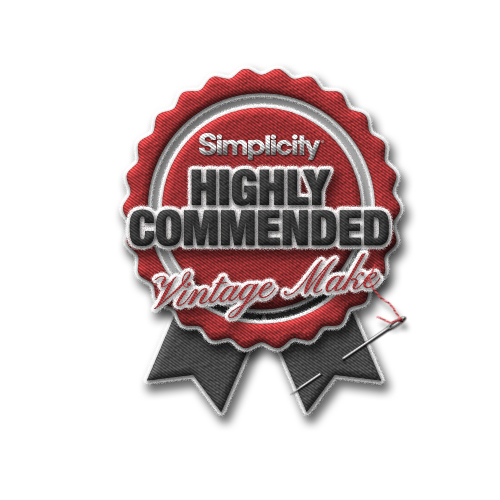 Thankyou – I am really happy with it – definitely want to make another! It’s absolutely lovely – a nice simple shape that really suits you. The viscose drapes beautifully too. And I know exactly what you mean about something being on the horizon and suddenly being something you have to make NOW! Thankyou! 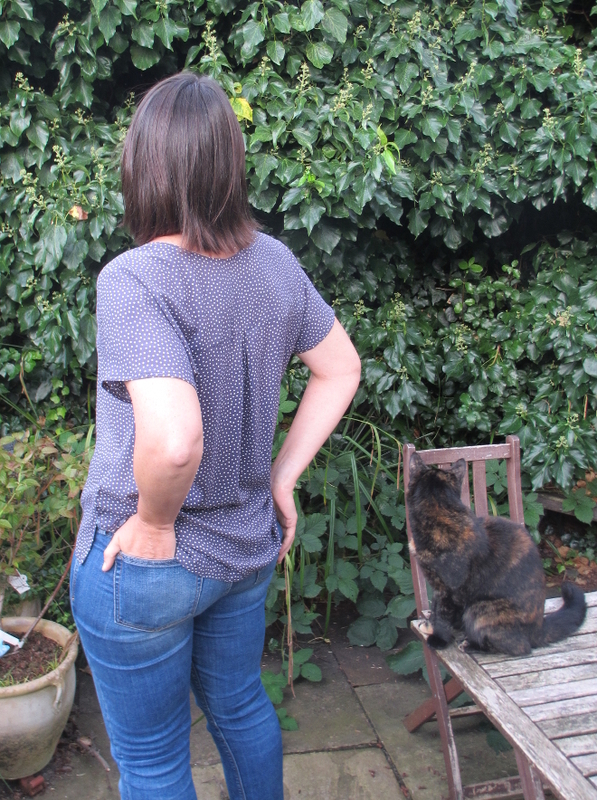 – I want everything viscose now – I love how it drapes but feels cotton-like and breathable! Lovely blouse! The longer back is flattering, and I just love anything with dots. Good job getting the kitty to mirror your pose. Thankyou! 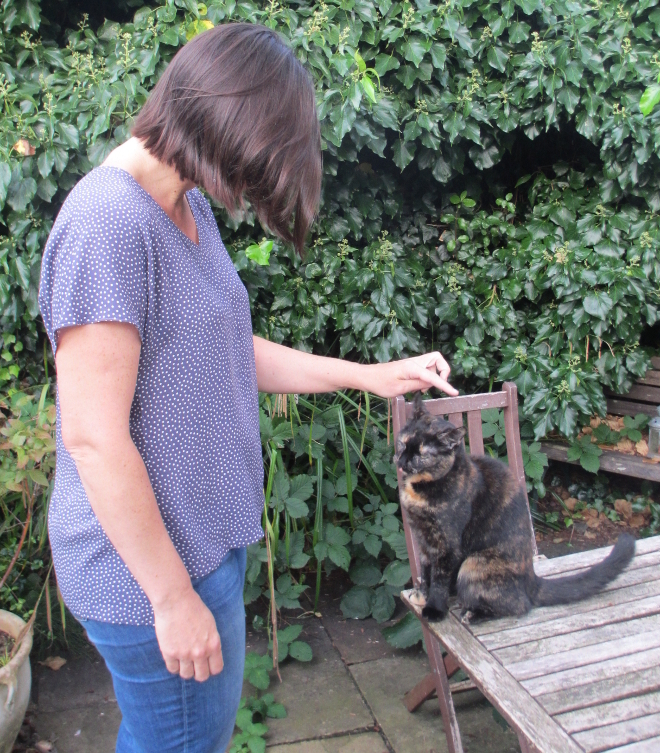 I have specially trained the cat and she is available for modelling at a reasonable rate! Haha! Maybe I should enlist your training services, my cats just get in the way! It is really flattering, and the yoke detail is great. Yes I can see that more of these would be good. I am not really a planner, whenever I have had a order of Sews its all gone wrong! Thankyou – it’s really lovely fabric so I’m pleased I finally used it for something! Thankyou – the fabric is really lovely! Looking forward to shopping at Guthrie & Ghana again at Sew Brum. Thankyou! I havent tried gelatin though I have heard about it. I have some lovely silk fabric which I have been too scared to use so maybe I will try with that! Thankyou – wearing it today and definitely pleased with it!